Energy Booster: Yummy Protein Smoothies! We feed our body with energy in many forms – through our breathing, poitive thoughts, being around positive people/places and of course… a big part of that is through our food! Get started with an energising morning! And I’m all about keeping things simple! Good routines don’t need to take long – In fact, they might even give you more free time in the long run because you begin to make it a natural habit. 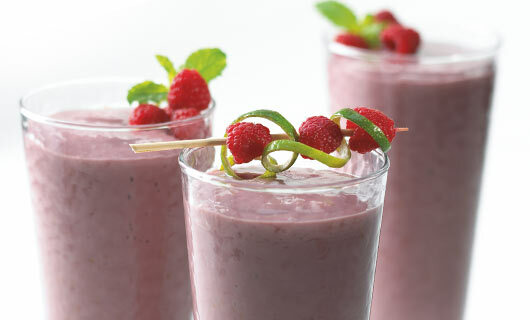 So, an easy way to turn your breakfast into a serious energy booster for your day ahead is by making a protein smoothie! …Shifting from the sugary carbs that a lot of cereals are made from – to healthy natural vitamins and protein. Protein is fantastic for your body and energy levels – protein-rich meals tend to make people more alert/energised than sugar-rich meals, with long-term health benefits. And who says it needs to stop at breakfast time? Protein smoothies are great for any time of the day when you need an extra energy boost. Plus organic protein powders can also be used in many other things, such as soups etc. Ingredients: 1 Banana, 1 1/4 cups sliced fresh strawberries, 10 whole almonds (soaked overnight in water), 2 tablespoons water, 3 tablespoons protein powder, [+ Optional] Honey for a sweeter taste. 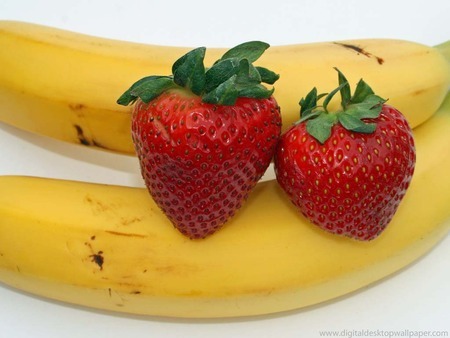 Directions: Place the banana, strawberries, almonds, and water into a blender. Blend to mix, then add the protein powder, and continue mixing until evenly incorporated, about 30 seconds. Add and blend in more water (1-3 tablespoons) if needed if you prefer a less thicker consistency. Add 1 teaspoon (or more!) honey if you want a sweeter taste!